Type says a lot about a brand. Letters are a language in themselves, communicating personality traits like sophistication, simplicity, and whimsy. They can shout or they can whisper. It’s also very subjective, so knowing your audience is critical. With so many typefaces to choose from, it can be overwhelming—and nearly impossible—to make the right choice for your client. The following projects demonstrate vastly different type applications, with compelling results that speak to their intended audiences. The Hs can stand alone as an identifier or be used with the full name of the coffee shop. When used with the name, it’s like the crown jewel—that added touch of elegance. The soft curves of the uppercase H next to the lowercase s, create an almost theatrical overture. Pro Tip: It can be tricky pairing a sans serif with a serif. Test many variations and ask others their opinions about what is and isn’t working and why. 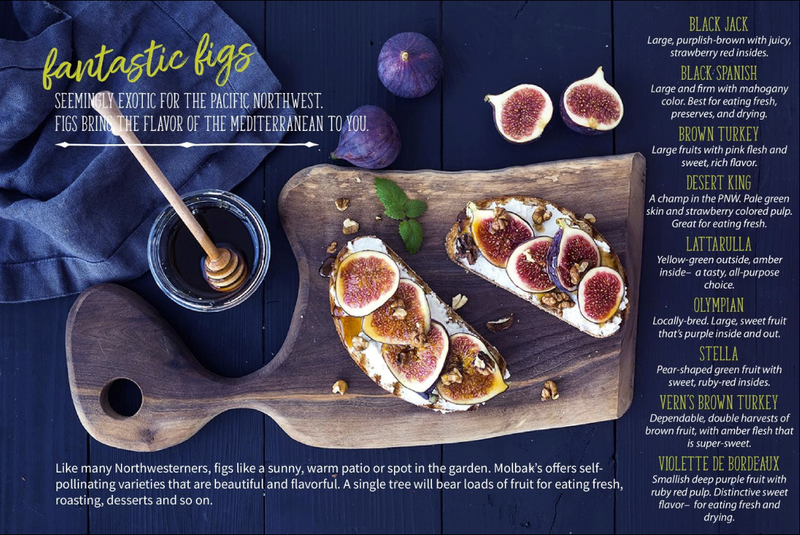 For instance, Molbak’s Lookbook provides recipes, gardening tips, and useful information about plant varietals so consumers make the right choices when purchasing plants to harvest. The photos are often featured full page, with content creatively overlaid. The hand-lettered headers were part of an overall brand strategy incorporated a few years ago to create a more hands-on, friendly feel, similar to chalkboard lettering. However, due to the volume of materials she produces, Tyler says, “It’s not possible to have them actually done by hand, so I went with the next best thing – a computer-generated font that looks hand-drawn. We also use our standby sans serif face (Myriad Pro) for larger amounts of copy.” And it works. 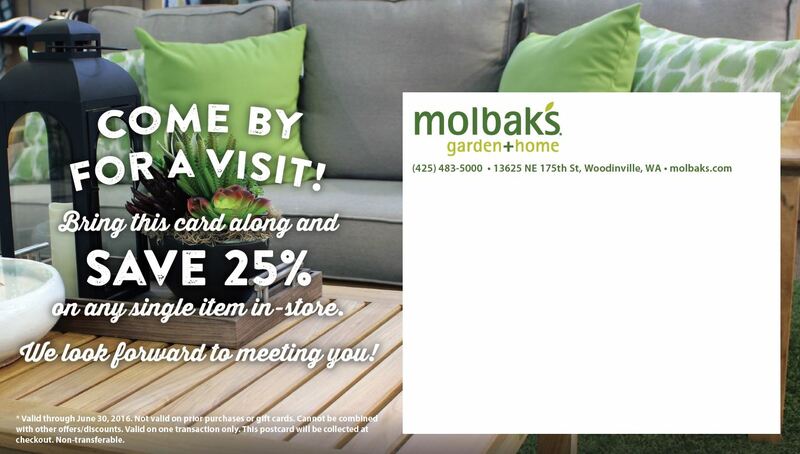 Coupons, mailers, and the website all incorporate this open, inviting style. Pro Tip: When placing type over photos, find the greatest contrast and most visually interesting layout to draw the reader in and complement the imagery. The Maisons Paysannes de France was formed in 1965 to preserve buildings and rural landscapes that were abandoned during the rural exodus. 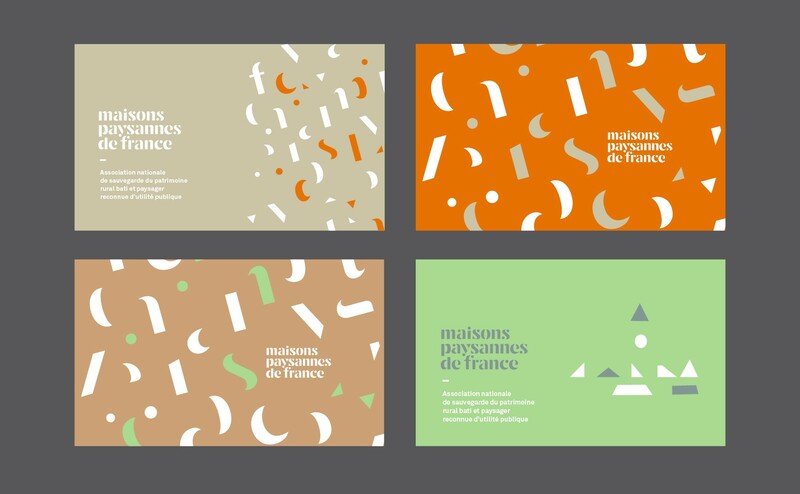 However, more than 50 years later, its identity was outdated and overlooked so the association commissioned Graphéine to bring the brand to life. Art director, Jérémie Fesson, did just that by designing an entire alphabet, called MPF Display. The letters in this dedicated typeface can be dismantled and shifted to create patterns evoking construction and movement of architectural elements. Every visual form was considered from the accent marks and punctuation, to the dot on the i. The stencil lettering, in essence, deconstructs to create unique, decorative elements that are in constant flux. The letter variables are played out in print and online. There’s even a video demonstrating the fluidity of the letter parts and the different ways they can be played out. Each element flutters and flows beautifully on its own and when firmly planted in place on its letterform. “Some letters, like the a and s, have several different writings: This small detail—which often goes unnoticed at first–gives a singularity to the graphics that represents the spirit of a peasant house,” says Fesson. Pro Tip: Be sure to consider every moving part, including letterspacing and punctuation when designing an entire alphabet. Each detail is critical to its success.